Do you love listening songs on your iPhone or iPad? If you love songs and looking for Best Music Downloader Apps for your iPhone or iPad, this article can suggest you some useful music downloaders which allow users to download songs from the web. All of these apps allow users to download free music on their iOS devices. Check out these useful iPhone/iPad #music downloaders. These music downloader apps help you download and listen your favourite songs easily on your iPhone and some of these apps are available free of cost. For example, Soundcloud is a free music sharing platform and lets you listen your favourite songs online but if you want to download songs to your device, you have to subscribe for their premium version. 1. Total Downloader ( #iPhone & iPad ) – Total Downloader is one of the best file downloader apps on the Apple Appstore that also lets you download free music and video files from lots of popular sites. Although, the recent update of this app stopped supporting download feature for some sites but there are tons of websites on the internet which allow users to access their media files legally. If you love listening music or watching videos, you would love this app. Great app that has lots of features such as single tap downloading , multiple downloading option, almost all types of file support, browser, file manager and many other features. 2. 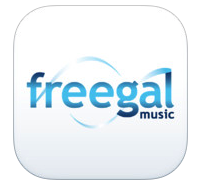 Freegal Music (iPhone & iPad) – Freegal Music is one of the best music downloading apps that comes with lots of useful features. Beautifully designed fully featured downloader for iPhone or iPad users that allows users to download free music legally. The app has many useful features which help you to download unlimited free music. With this music downloader app, you can access more than 7 million mp3 songs easily via your local library. This app helps you browse songs by artist, songs, videos and albums. Great app that allows you to browse free downloadable songs and videos on the web. One of the most useful downloaders for iPhone, iPad and iPod touch that comes with a powerful music downloading feature . 3. Spotify Music (iPhone & iPad) – Spotify Music is a great app that allows users to play music and listen their favourite songs for free. If you use premium feature of this app, you can also listen music offline. The app helps you save ( download ) music offline on your iPhone, iPad and iPod. 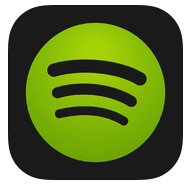 Spotify comes with lots of useful functions and allows users to search and play music of any track, album or artist. This music downloader has nice and easy to use interface that allows you to browse, download and play your favourite music on your iPhone, iPad and iPod touch. With this music downloader, you can access many useful features such as- lots of songs, building your music collection, powerful tool to find playlists for every moment, playing favourite artists etc. One of the best ways to listen music on your iPhone, iPad or iPod touch. 4. 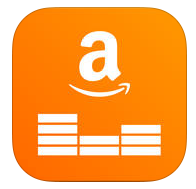 Amazon Music with Prime Music (iPhone & iPad) – Amazon Music is a useful music downloader that allows you to listen and download music on your iPhone, iPad and iPod touch. Amazon music is a beautifully designed powerful music downloader that comes with lots of features such as- powerful music browser that allows to browse downloadable music, millions of songs, sharing feature for your favourite music tracks and more. One of the best music downloader for iPhone & iPad Great app for music lovers. 5. Total Downloader Free – Total Downloader is a free downloader that helps you download any type of content from the web such as videos, documents, music files etc. Total Downloader Free is a fully functional file downloader that lets you download music, videos and files and manage them on your iPhone , iPod touch or iPad. One of the best free music downloading apps that comes with lots of features which can help you to download your favourite songs, videos and files from the web. With this app, you can get many useful features such as- fast web browser to search and download music, videos and files, powerful download manager to mange and download multiple songs & videos, file manager to organize your files, media player to play your downloaded content etc. If you are looking for free music downloader for your iPhone or iPad, this app could be very useful for you to download multiple files easily from your device. 6. SoundCloud – One of the best music apps on the web that is available free of cost for streaming. If you want to download songs and music albums on your iPhone or iPad, you can upgrade your membership to SoundCloud Go+ for offline listening feature. SoundCloud GO+ is a complete solution to download , organize and play your favourite music. This app has many useful features and helps you download and play music on your iPhone or iPod touch. One of the best music downloaders and it comes with tons of useful options such as – Music browser, powerful download manager, custom playlist creating option, media player including background playback option etc. Recommended music downloader for your iOS device.